I soaked my chickpeas for 24 hours and just cooked them in my pressure cooker. I added salt and pepper before cooking. I just tasted one and it was perfect. Then I drained them and saw that lots of them have this weird white and black stuff on them. Sorry the picture isn't super clear. 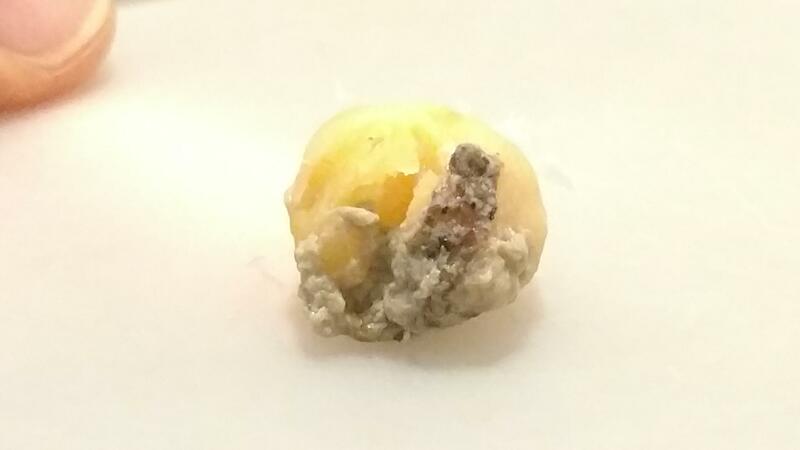 What do you think it is and it is safe to eat? Browse other questions tagged pressure-cooker chickpeas or ask your own question. What kinds of pressure cookers are there, and what are they good for?